Prof. Ricardo Marqués was born in San Fernando (Cádiz), Spain, in 1954. He received the Ph.D. from the Universidad de Sevilla, Sevilla, Spain, where he is currently Associate Professor at the Dept. of Electrónica y Electromagnetismo. Since 1984 he has been with the Microwave Group of Research at this University, where he developed intensive research on computer aided design of microwave circuits, wave propagation in ferrites and complex media, and transmission line theory. More recently, his interest also focused on the analysis and design of artificial microstructured media with exotic electromagnetic properties (metamaterials) and its applications in microwave and RF technology, including negative refractive index media and sub-diffraction imaging devices. Ricardo Marqués is author of more than 80 papers in scientific journals of Physics and Electrical Engineering, many contributions to scientific meetings and several books and book chapters. He also was one of the funders and the first coordinator of the Spanish network on metamaterials (REME). 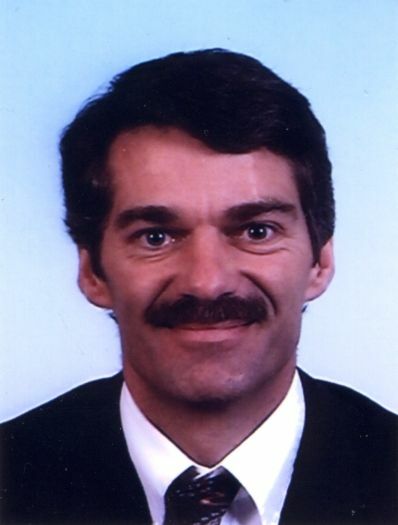 Dr. Peter de Maagt was born in Pauluspolder, The Netherlands, in 1964. He received the M.Sc. degree in electrical engineering from Eindhoven University of Technology, The Netherlands, in 1988. From 1988 to 1992, he completed his Ph.D. research on Microwave Radiometers at the Telecommunications Department of the Eindhoven University of Technology. In the period 1992/1993 he was station manager and resident scientist for an INTELSAT project in Surabaya, Indonesia, where he studied the Ku band propagation characteristics in the Western pacific basin. He is currently with the European Space Research and Technology Centre (ESTEC), European Space Agency, Noordwijk, The Netherlands. His research interests are in the area of millimetre and submillimeter-wave reflector and planar integrated antennas, quasioptics, electromagnetic bandgap antennas, and millimetre- and submillimetre-wave components. Dr. de Maagt was co-recipient of the H.A. Wheeler Award of the IEEE Antennas and Propagation Society for the best applications paper of 2001. He was granted a European Space Agency Award for innovation in 2002. He was co-recipient of the Loughborough Antennas & Propagation Conference (LAPC) 2006 and International Workshop on Antenna Technology (IWAT) 2007 best paper award. Dr. de Maagt is an active member of the IEEE, serving as an Associate Editor for the IEEE Transaction on Antennas and Propagation since 2005. Dr. de Maagt is currently also a Distinguished Lecturer for the IEEE APS. He is also a member of the IET (formerly IEE) Antenna and Propagation Professional Network Executive Team since 2002. Prof. M. Wegener obtained his Ph.D. in December 1987 at the Physics Department of the Johann Wolfgang Goethe-Universität Frankfurt. After working as a postdoc at AT&T Bell Laboratories (Holmdel, U.S.A.) he immediately became an associate professor at the Universität Dortmund in June 1990. Since October 1995, he is a full professor at the Universität Karlsruhe (TH), since 1997 head of the DFG graduate school “Collective Phenomena in Solids”, since 2001 a group leader at the institute for nanotechnology of the Forschungszentrum Karlsruhe, and since 2001 director of the CFN. His research interests cover different areas of photonics, such as, e.g., nonlinear optical spectroscopy, ultrafast spectroscopy, near-field optical spectroscopy, photonic band gap materials, and photonic metamaterials. In 1993 he was awarded the Krupp-Prize (the second highest research award in Germany at the time), in 2000 the DFG Leibniz award (the highest research award in Germany). In 2003, he chaired the international conference NOEKS7 (Nonlinear Optics and Excitation Kinetics in Semiconductors). He has written two textbooks, has authored about 150 publications in peer reviewed journals and international conferences and has given 43 invited talks (1990-2004) at international conferences. Four patents on photonic crystals are pending. He also serves as referee in different national committees and for various international journals. Since April 2005 he is topical editor of JOSA B (Journal of the Optical Society of America).